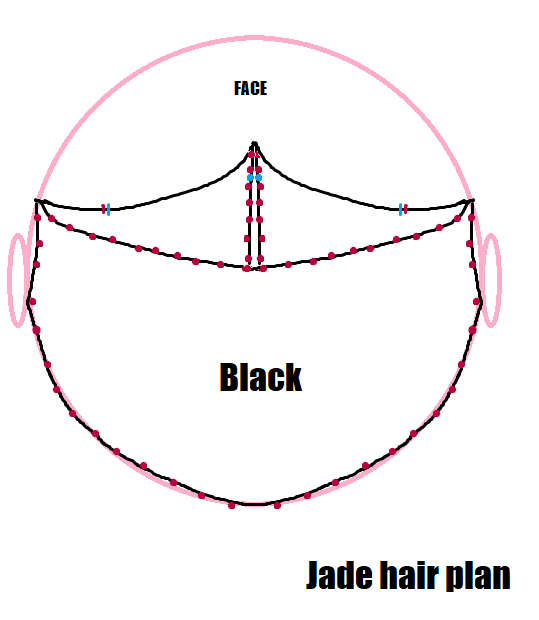 2/ Then I place the wig template just above the line of hem stiches, trace and cut out the wigs with tiny scissors and trim the hem as it’ll be wiggly. 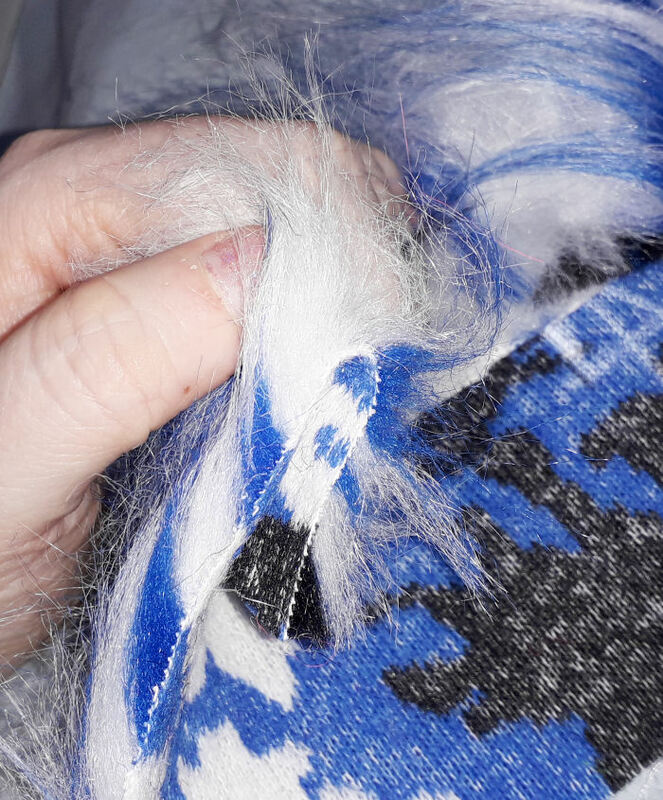 3/ Then each wig is assembled inside out and loosely basted; with a clip or a stitch tucking the fibre inside the wig so that you can sew without too much stray fur getting into your thread which causes knots and mess. 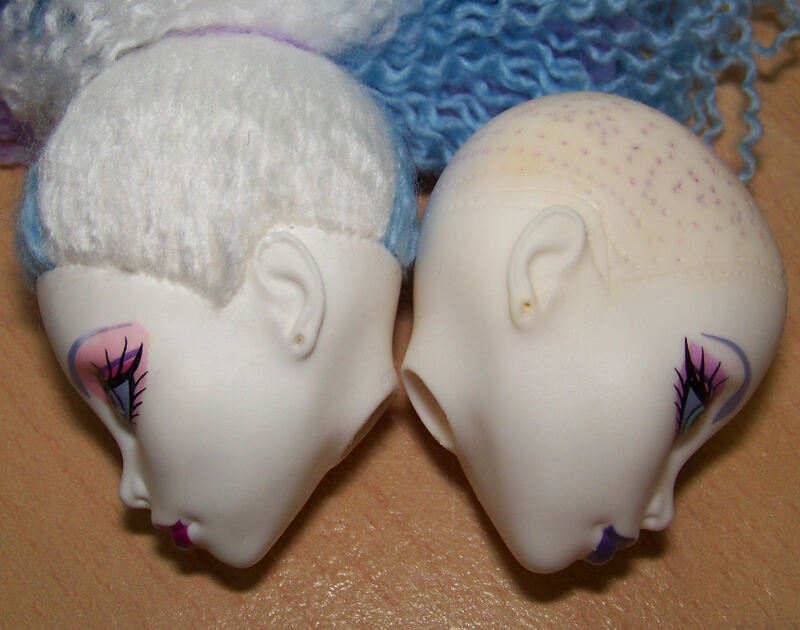 5/ Finally each wig is brushed to remove excess fur and any caught in the hem stitching and tested on Batsy (a bald Monster High with big ears) to see if the parting has thin areas and fits over her ears fully and still matches her front line of hair – if not it’s put aside to be resized for a smaller doll. 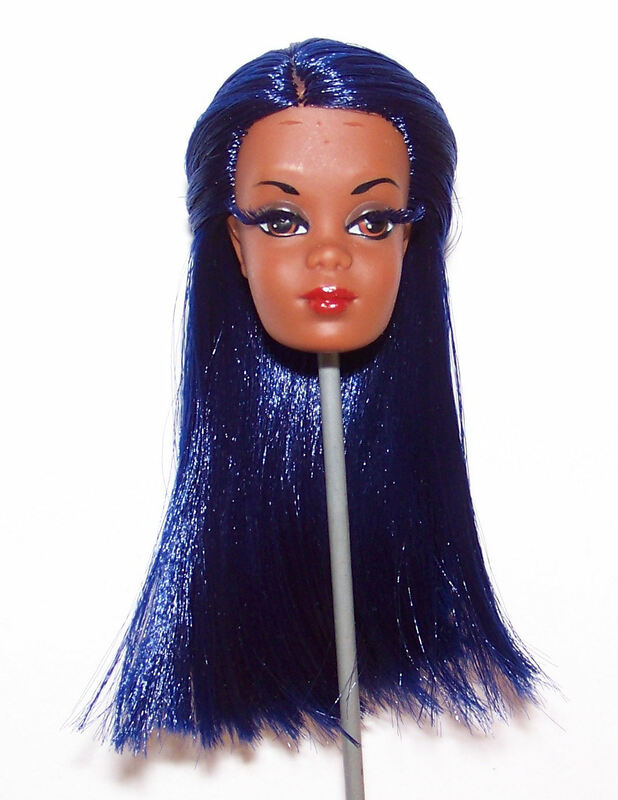 I figure people can always resize a wig to be smaller but it’s best to err on the slightly larger side. 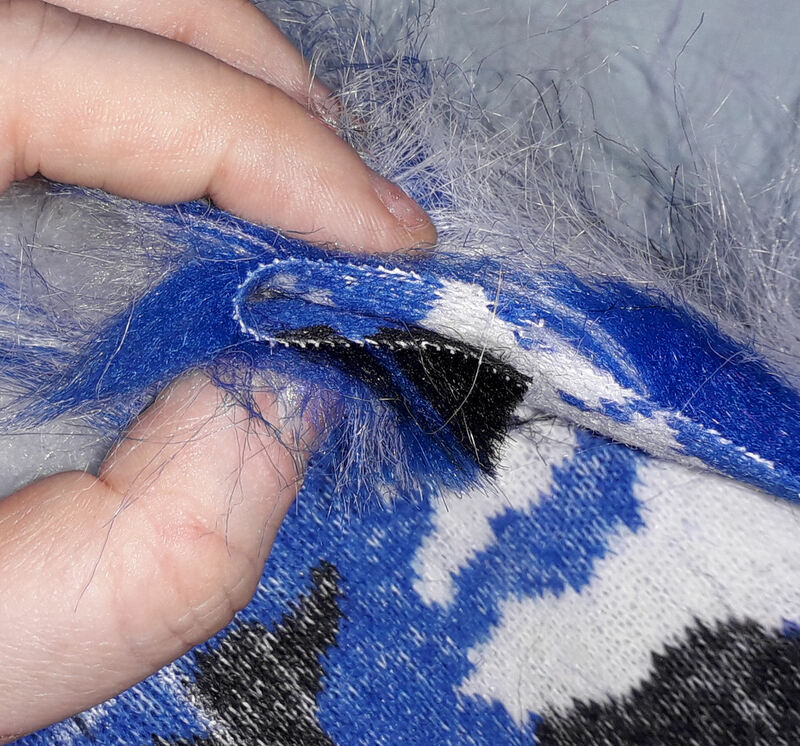 faux fur can be flat ironed at 120°C or steamed using a clothes iron at a slight distance and brushed straight. 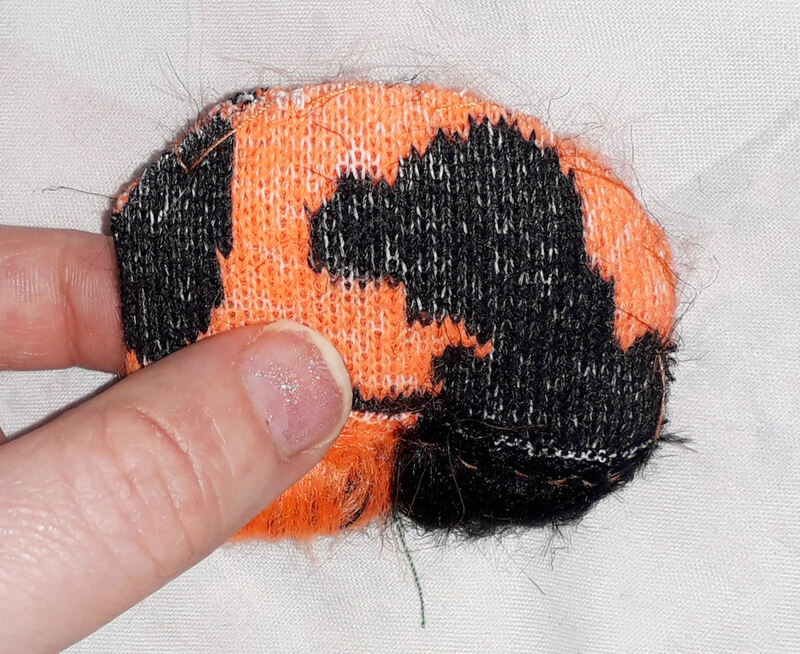 the process of working with small items made from faux fur is messy, you’ll want to clean up regularly and make rolled up balls of stray fibres. use sharp and very small scissors or use the razor method to cut your fur of you’ll have choppy bits. use a metal comb for brushing to avoid static, but nothing as dense as a flea comb or you’ll lose too much fibre. 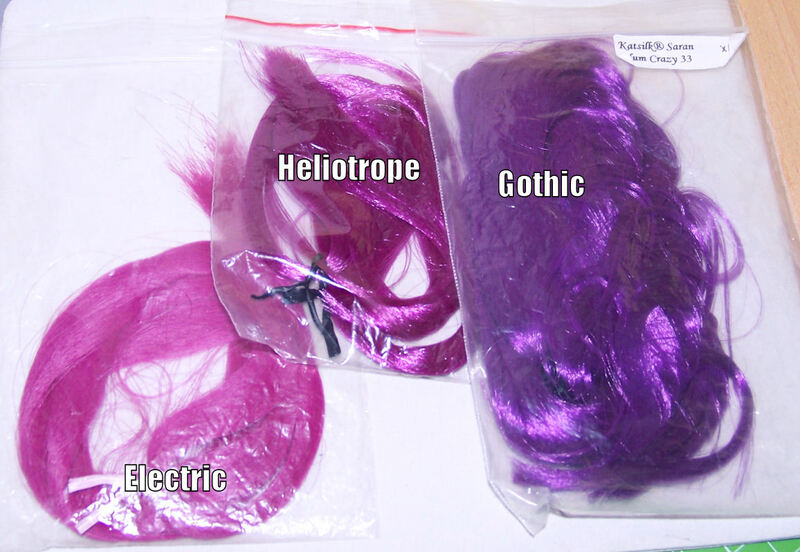 keep different colours and different stages of prepared wigs seperate in baggies to avoid fibres getting everywhere. 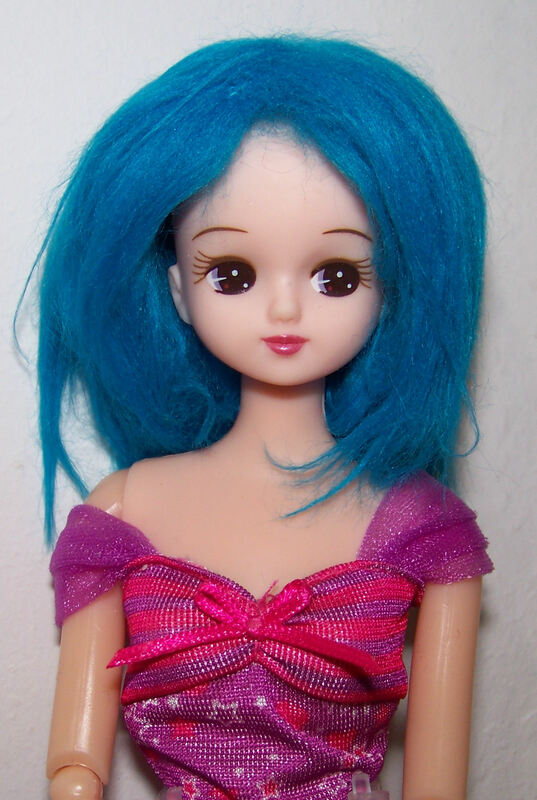 This entry was posted in Tutorials and tagged faux fur, monster high, tutorial, wig, wigs on February 2, 2019 by saffy. 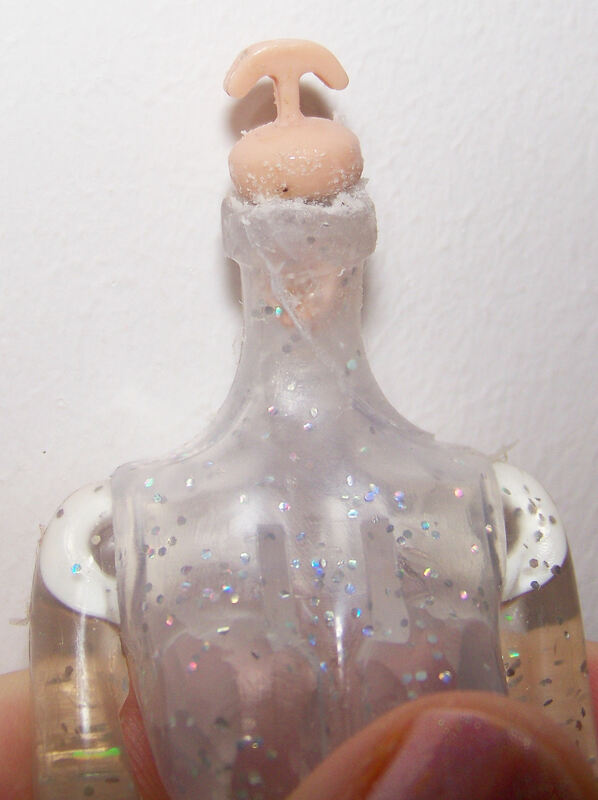 I bought these Midnight Magic dolls from Aliexpress in september and almost gave up on them but kept trying because well, glitter transparent bodies are awesome. 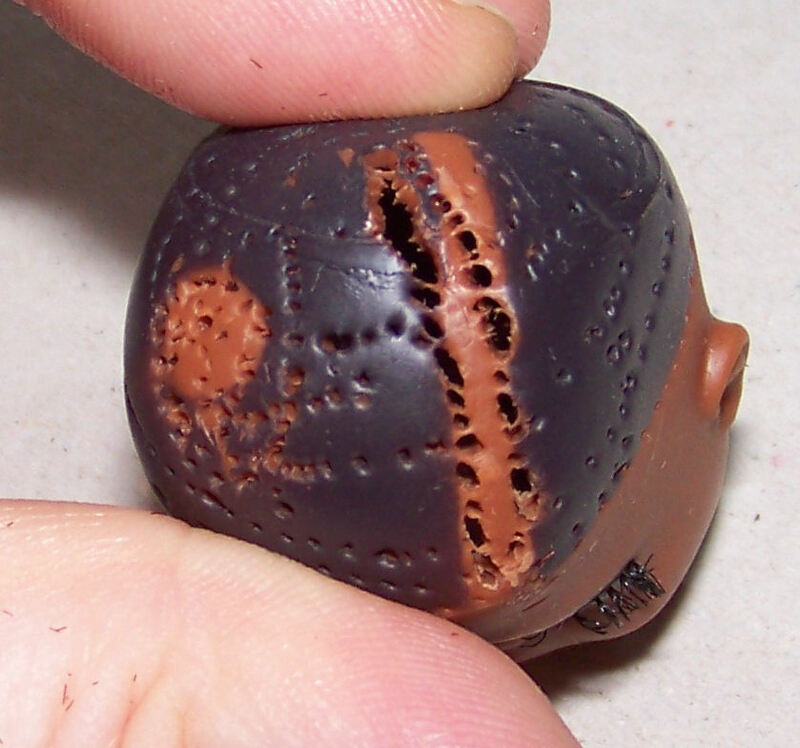 I had been carving the big spherical neck knobs by hand with a craft knife until they snapped, then I tried putting in classic anchor style doll neck knobs which caused the neck to crack open. Attempt n°3 saw me get out the knock off dremel and it’s cumbersome transformer to sand down the remnants of the neck knob until they were just 2-3mm wider than the neck, then squished the donut part of the anchor knob with pliers to be much thinner. E6000 is the glue used, you can tell because it gets very messy if you move stuff around before it dries. LOL. The Cola one is much neater than the Sprite one as it was easier to see the edges and I’d got some practice on the first one. 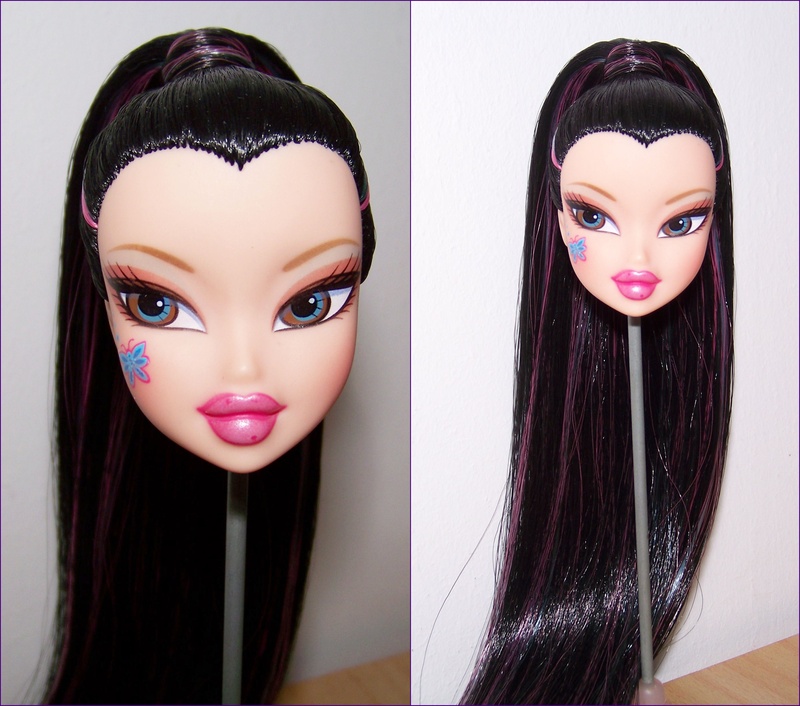 This entry was posted in Tutorials and tagged body, fakie, headswap, hybrid, midnight magic, monster high on December 6, 2018 by saffy. 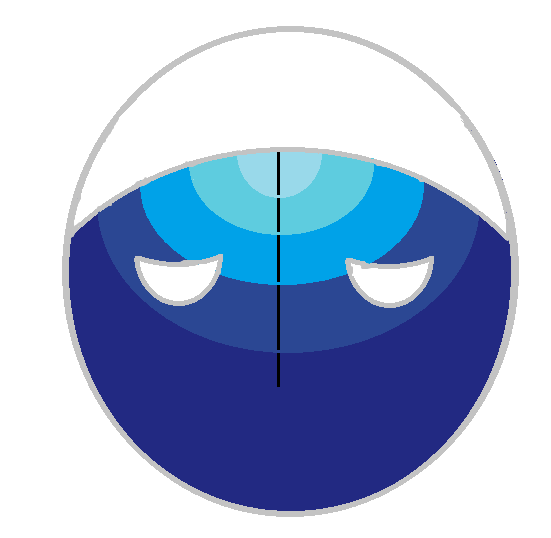 This entry was posted in Tutorials on December 6, 2018 by saffy. 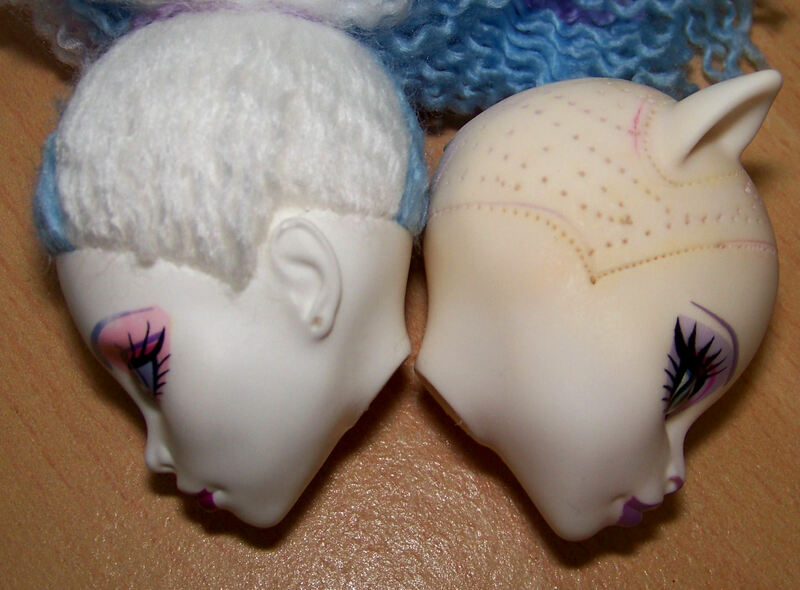 deciding on a widows peak and giving the face a heart shape by bringing the hair down at the ears. the nerve wracking moment when you put in new plugs across the forehead. 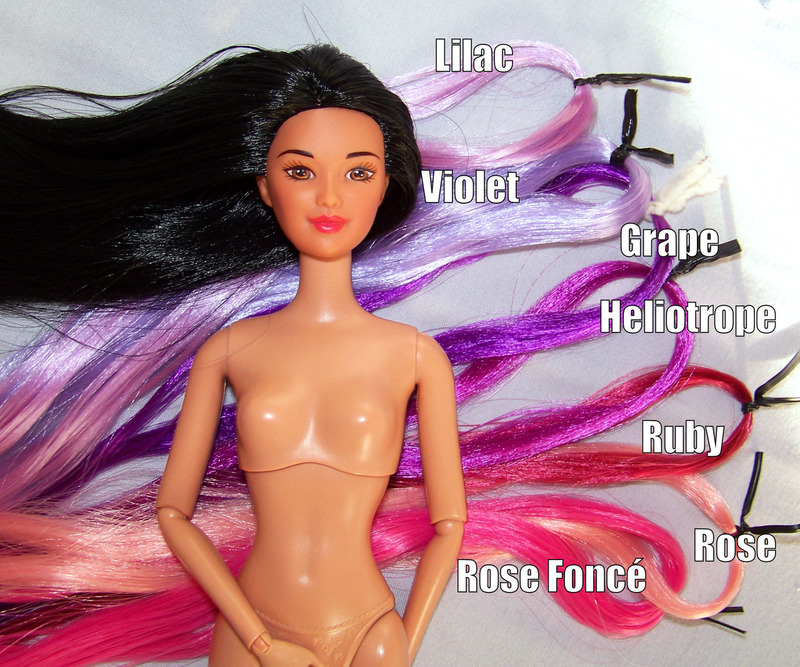 mspainted hair plans for the client’s consideration based on prototype photos from toyfair and these that showed up on flickr at just the right time! pin vise for tool method. With a nail or something solid inside the pin vise for the needle to press against. no doll grade kanekalon as the frazzle temperature is too low. The biggest challenge, I guess, is the double tedium of having to wait for the head to heat every four minutes and then getting into the ‘groove’ of working only to have to stop because the head became unworkable again. Do not give in to the temptation to keep working, the plastic does not respond well and can leave big holes or risk cracking open. 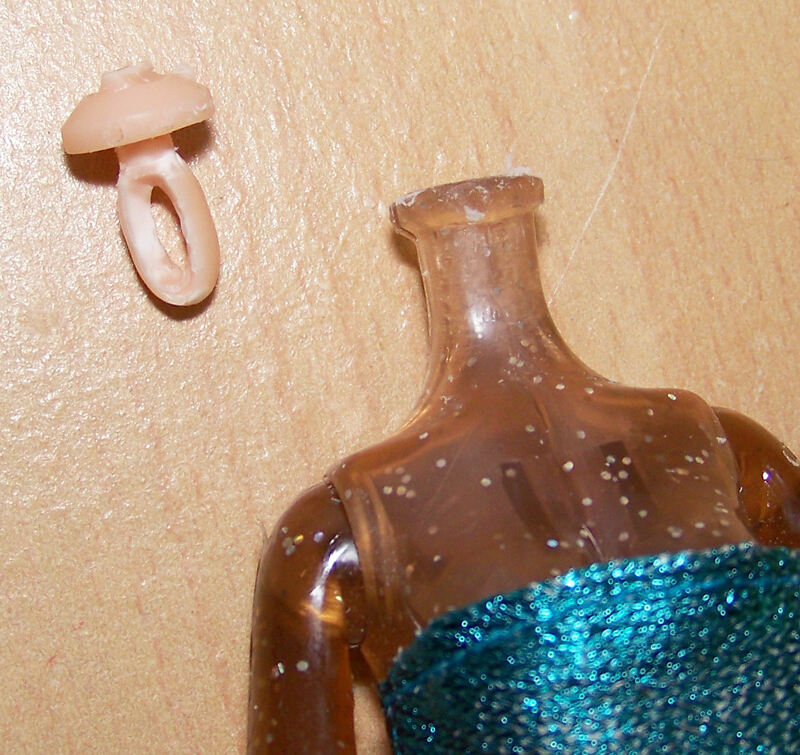 Vinyl needs some pliability when rerooting. When heating the head, wrap the hair as low to the roots as possible in a tissue or piece of cotton then put on the timer for 3-5 minutes depending on how hot the heat pad is. You need the head to get hot enough to work but that heat is slightly too much for the saran fibre if you go over 5 mins! 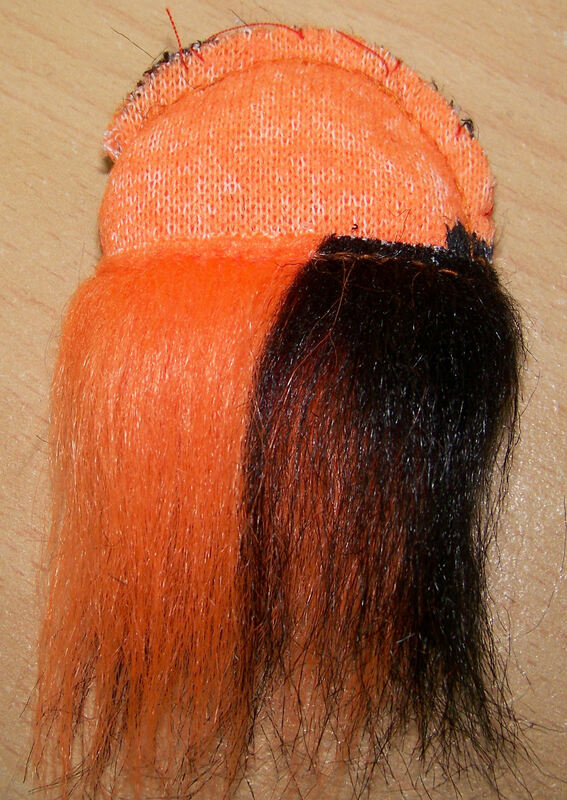 Since your time is limited, make sure that you seperate out lots of wads of hair with crocodile clips so that you can quickly grab them when you run out. Keep it all in small amounts, brushed and secured with clips etc as you’ll be moving more than usual and that means more risks for messing up hair piles! 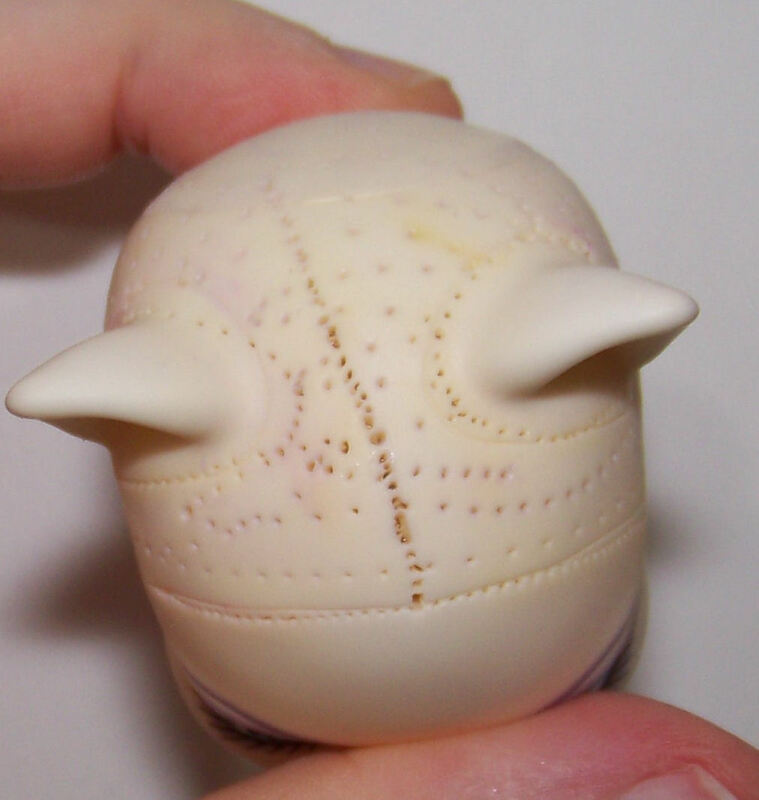 Draw out your rerooting lines in pencil on the head in advance to not use up “reroot time” eyeballing and calculating. 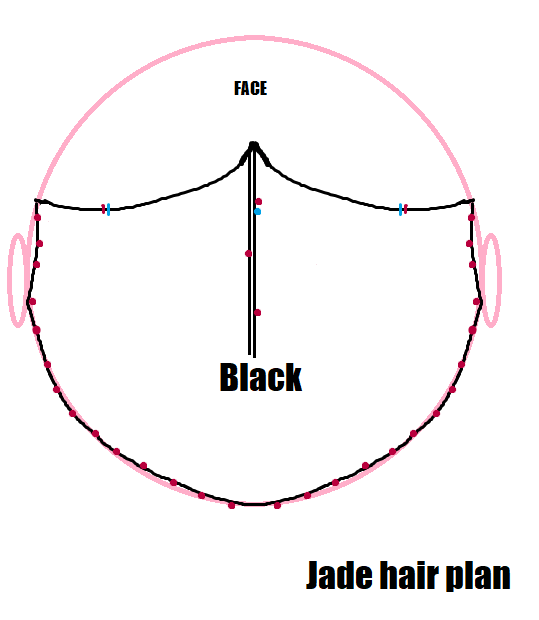 Take extra care with front lines, part lines and vunerable areas on the head (take photos before beginning the reroot of any problem zones) as the head is a lot less forgiving. Have something to do during the heating times and budget double the time of a normal reroot (though it’ll probably be 150-175% unless you’re planning something unusual). I recommend Nylon over Saran for ultra hard heads as the melt temperature is higher for Nylon which gives you more leeway. 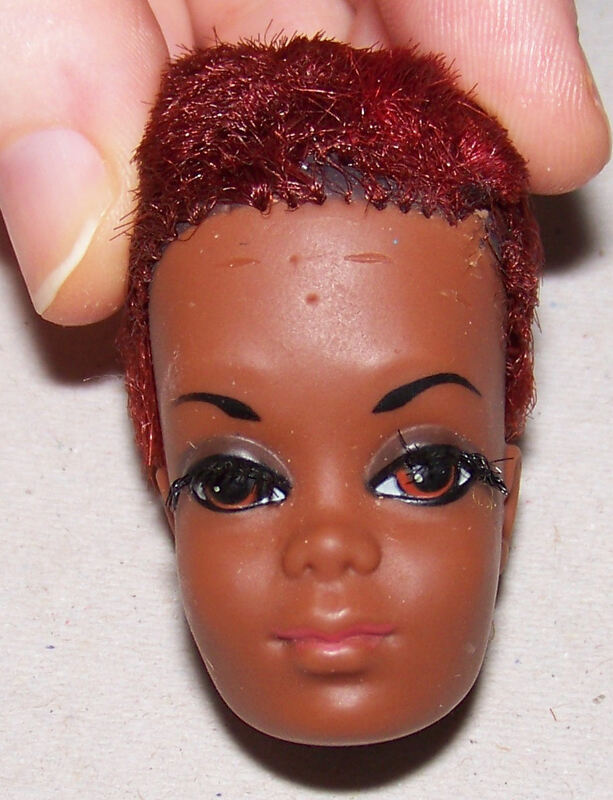 Doll grade kanekalon frazzles if you do a boil perm slightly too soon after the boil so I definitely don’t recommend that. 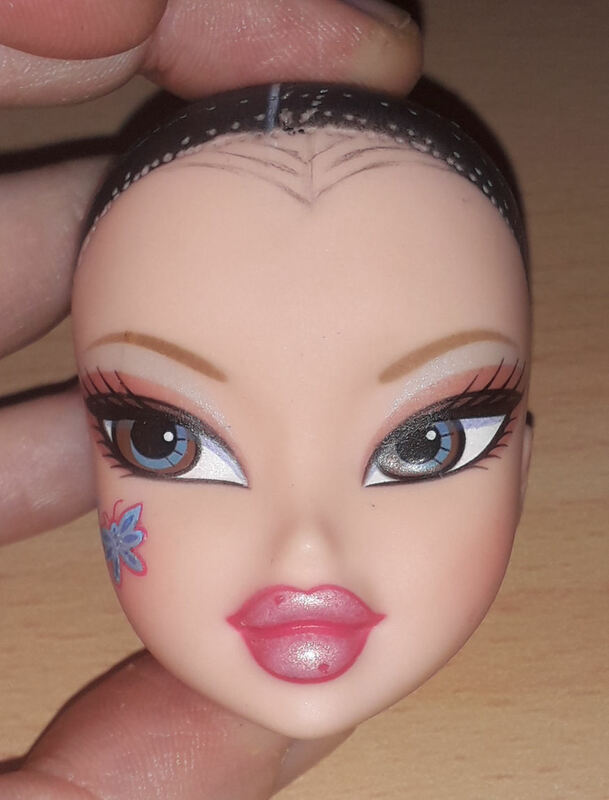 This entry was posted in Tutorials and tagged bratz, hard head, integrity_toys, reroot, rerooting on December 6, 2018 by saffy. 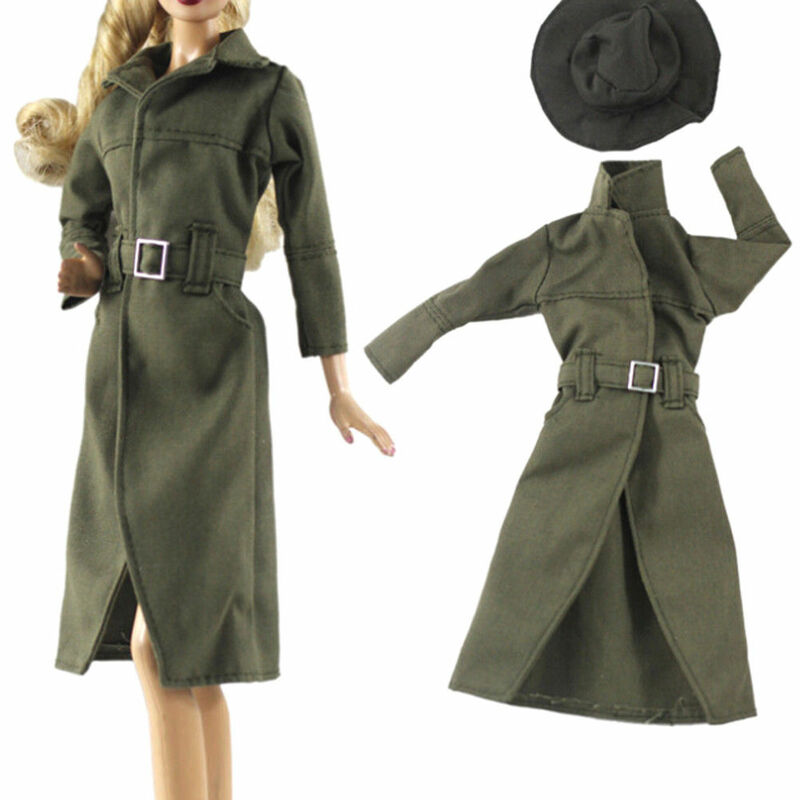 Saw this 1969 Julia Barbie on ebay in a TLC lot and knew I really wanted to try and fix her up. Her hair was so frazzled that it was crumbling to dust and someone really had a good ol slash at her, I have no idea why. I rerooted her with foam in her head and then used enough glue to make the top of her head solid to avoid any further tearing. 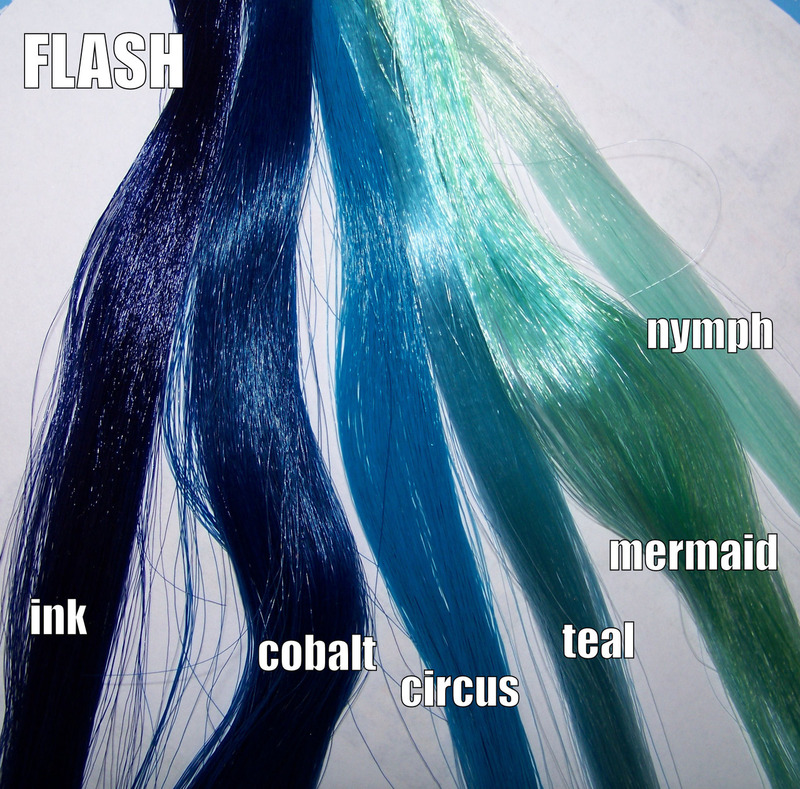 I decided to go with inky blue instead of the usual red, black or ruby. The last photo is the closest match to how she looks IRL but still much too red. 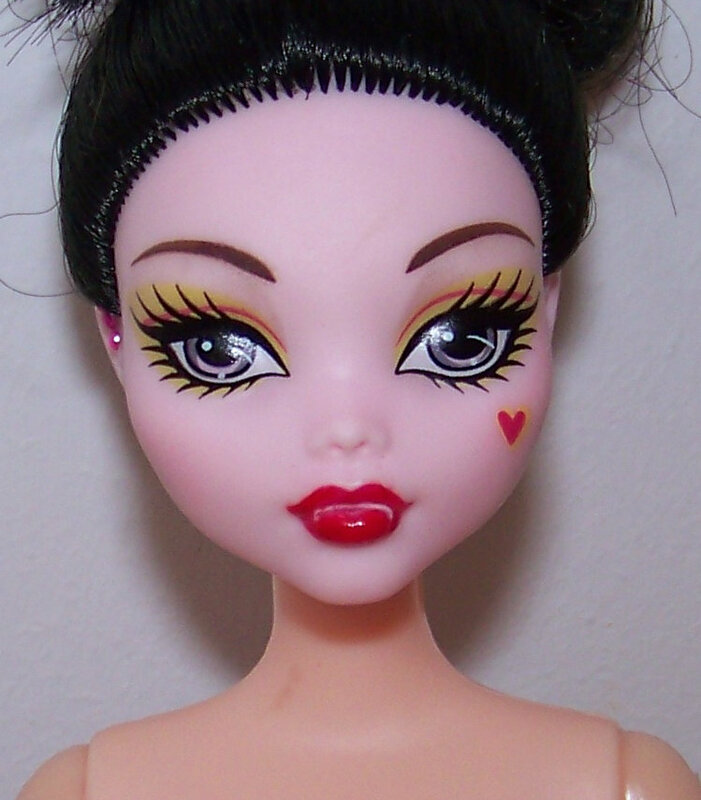 I’ve noticed that most Julias have their eyebrows printed lower than the little brow bumps on her sculpt. She looks nothing like Diahann Caroll but she does have the cutest profile! 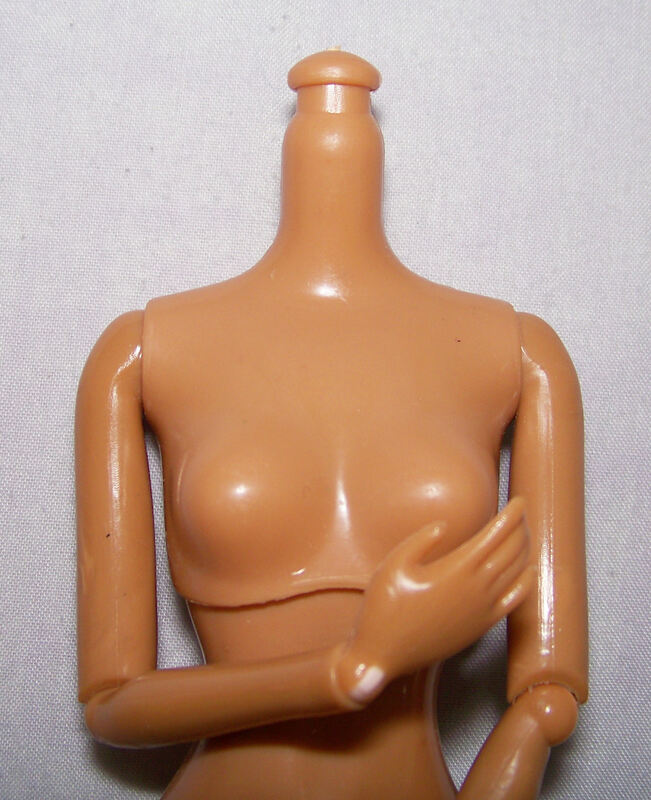 Her neck is smaller than your classic TNT/belly button body size (Repro Julia has a normal neck size) and I can’t possibly get my hands on a body dark enough and small enough here in france. 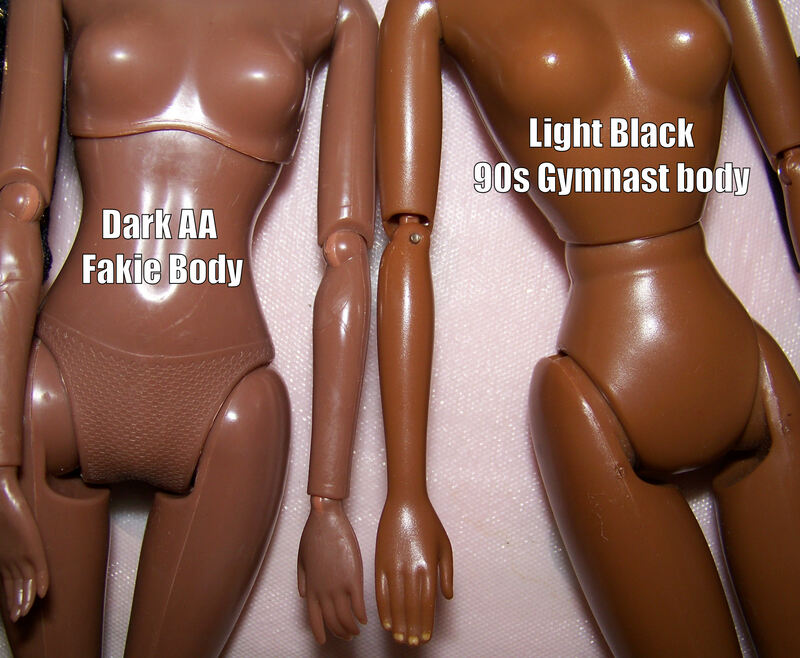 I’d recommend finding a Francie body or maybe DCHC Bumblebee she’s a very close match to the 90s-2000s Nikki “light black”. 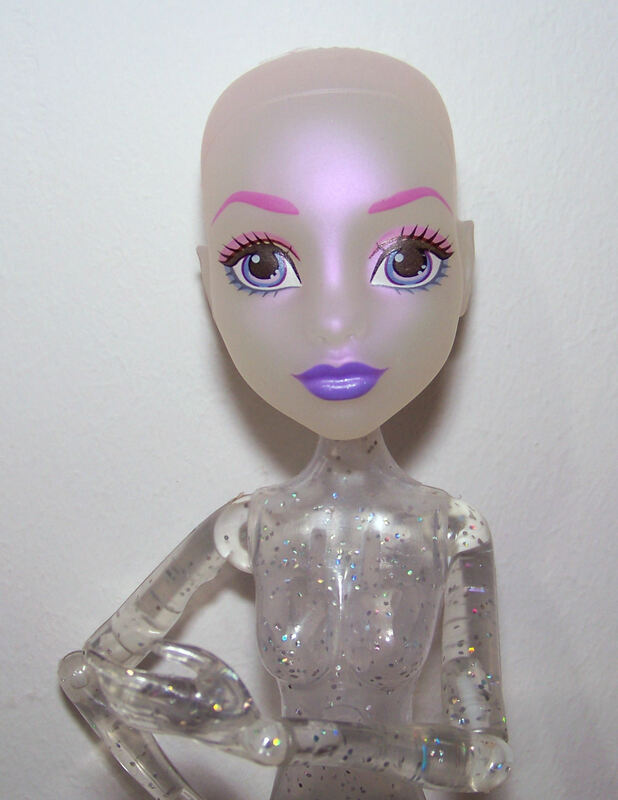 This entry was posted in Tutorials and tagged barbie, julia, reroot, rerooting, restoration, vintage on December 6, 2018 by saffy. 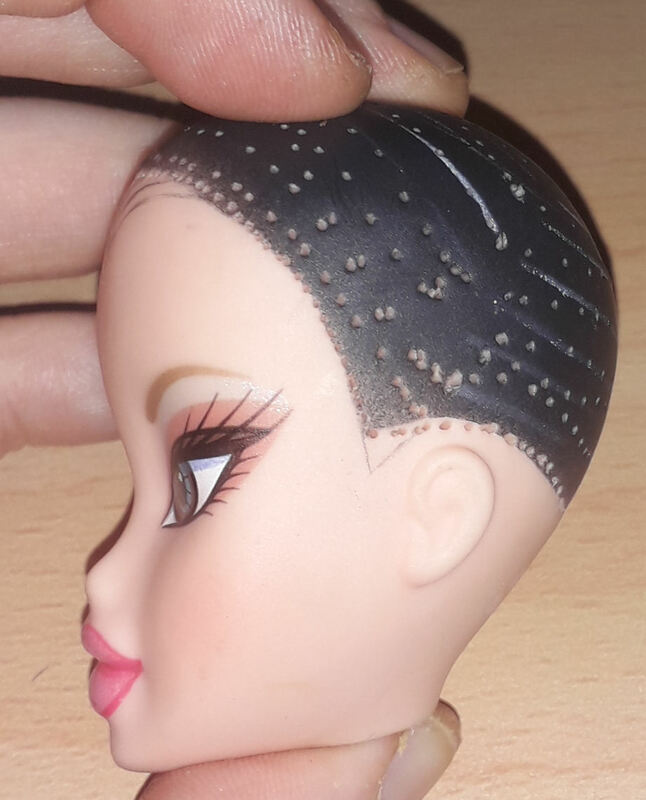 This entry was posted in Tutorials and tagged hair, reroot, rerooting, retrodolls, review, saran on December 6, 2018 by saffy. 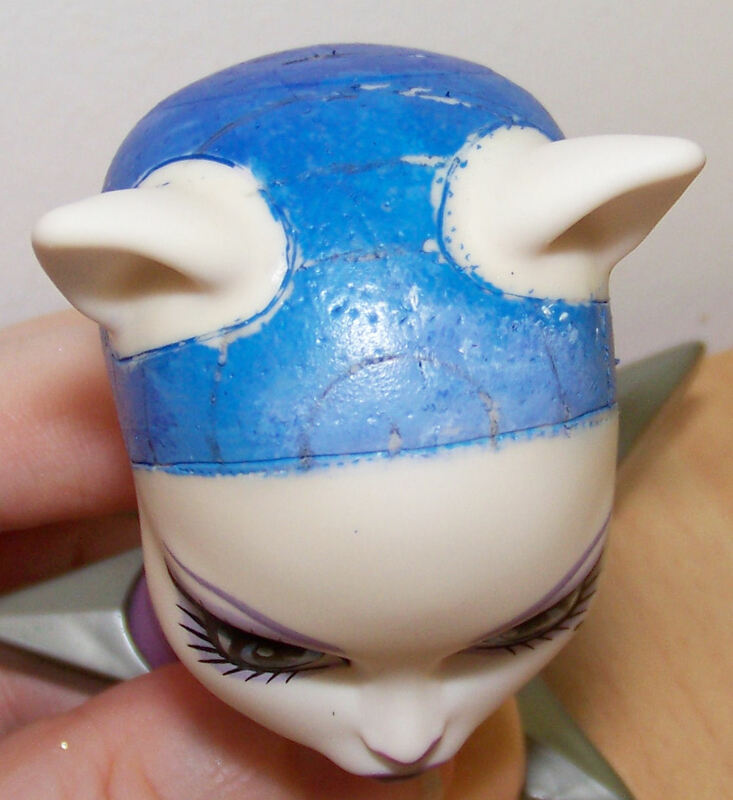 Monster High Catrine de Mew I’m currently working on with serious yellowing from seeping yellow head glue/goop. 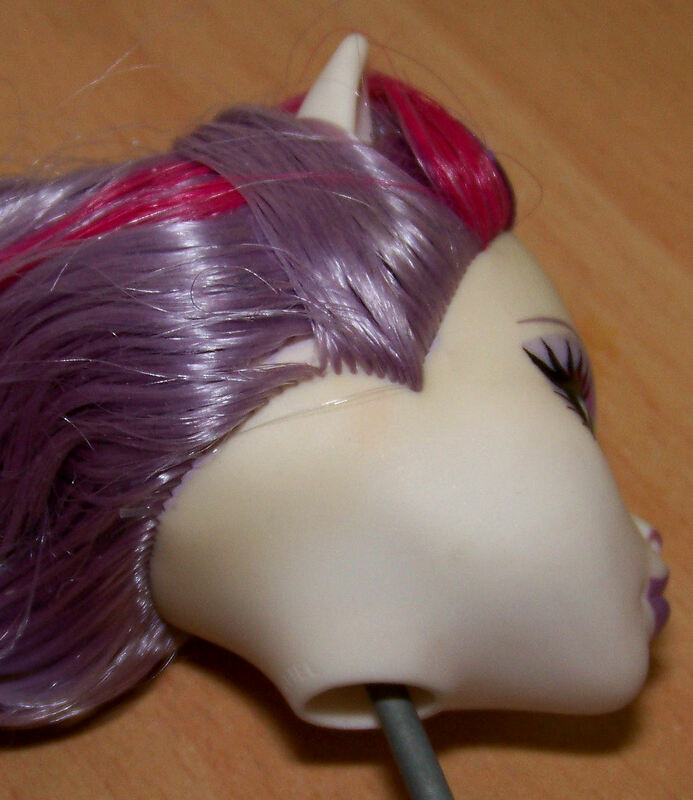 You can see where various plugs/plastic tie holes are stained more from where the glue seeped out, how it came down the hair onto the forehead and right side of the neck where the hair was tied. 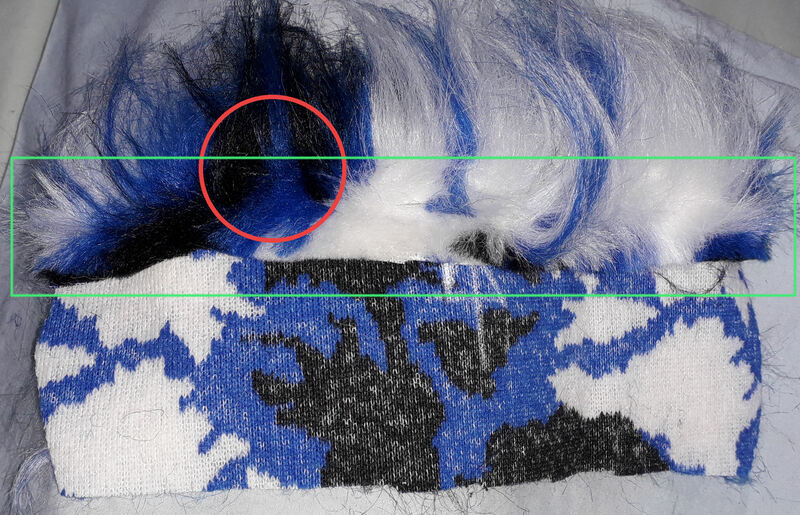 You can also see the vinyl colour compared to a Spectra with the china white glue and a Spectra with the indonesia yellow glue (see those earholes!). The difference between unstained Spectra and Catrine’s skin tones in person is even more pronounced than the photos washed out by flash. Magic eraser attenuated the edges of the stain very slightly but I’m still stumped as how i’m going to proceed. I could use pastel chalk to try and ‘paint it white’ but I don’t have any MSC. Peroxide bleaching needs sunlight which accelerates yellowing so that’s out. 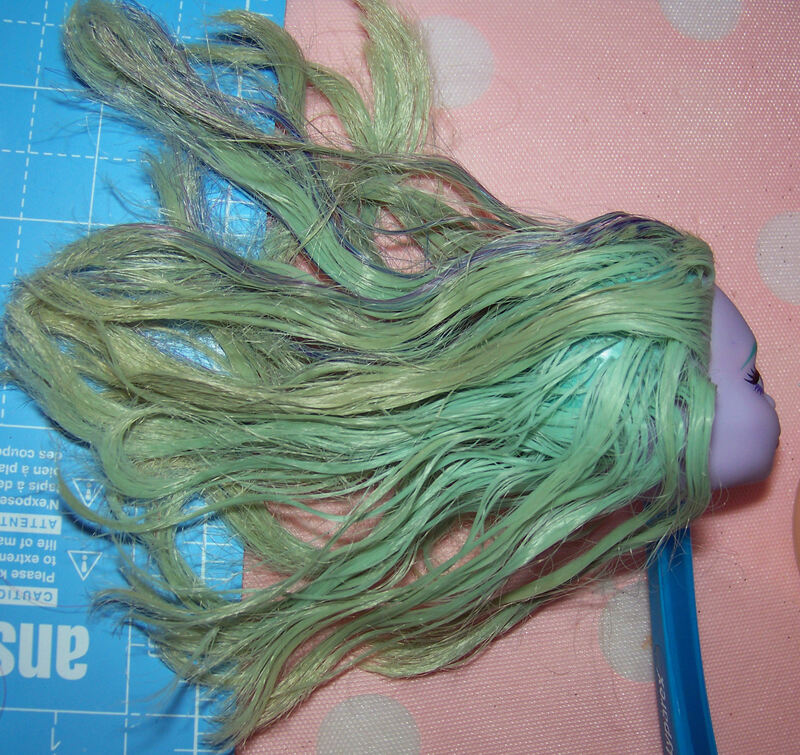 This entry was posted in Tutorials and tagged glue, hair, monster high, stains on December 6, 2018 by saffy. 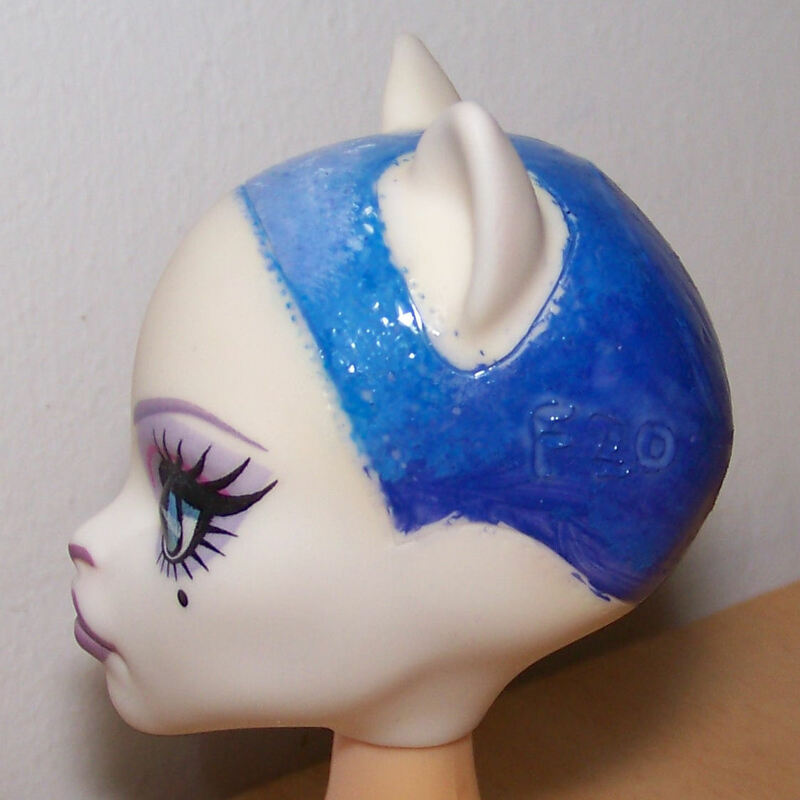 Paint the head with acrylic + seal with acrylic matte. The acrylic paint chips off in tiny little flakes where you reroot each hole but leaves plenty enough colour at the end. I regret painting over the front line as I couldn’t see some tightly packed original rooting holes that ended up splitting open. I was so worried about the parting (which went fine) that I forgot about that danger zone of a front line. Sectioned off 5* zones for 5 colours: I made a pencil mark at 6mm along the front line and 6mm along the parting then drew semi circles. 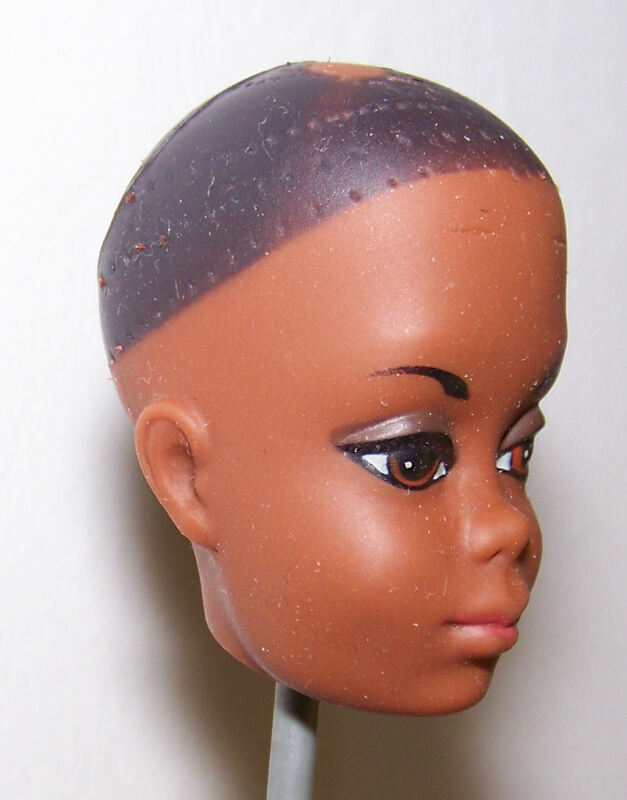 *A parting doubles the sections, ears double some of the sections and every section switch means breaking the rerooting routine and starting over with the hair piles and braids etc. Think of it as patchwork: more pieces, more sewing. 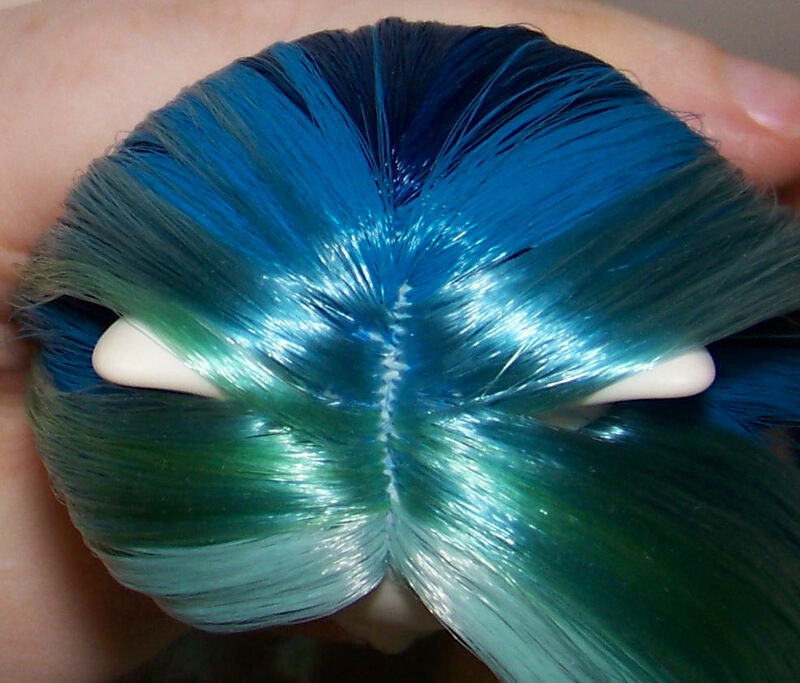 If you’re planning a gradient/ombré reroot, keep in mind that it’s much easier to do 3-5 sections as opposed to tHiRtEen. Yeah, I’m a total idiot but it’s going to be so prettyyyyyy! 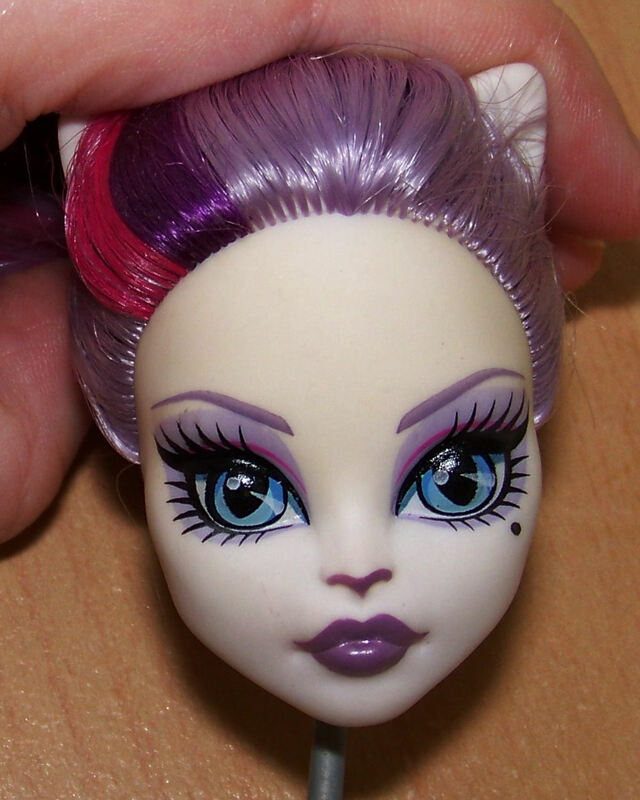 This entry was posted in Tutorials and tagged monster high, reroot, rerooting, saran on December 6, 2018 by saffy. 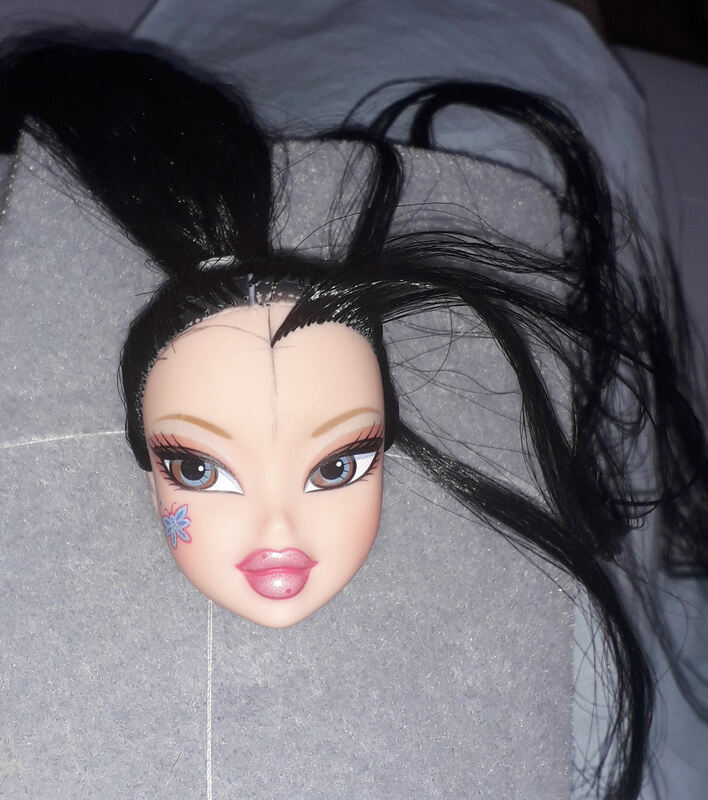 As a disabled person living in *very* rural france, I do quite a bit of my doll shopping on Aliexpress (they sell mostly factory reject heads), I actually have had better odds at getting a doll head I can actually repair than on amazon where glue head and wonk face reign supreme. 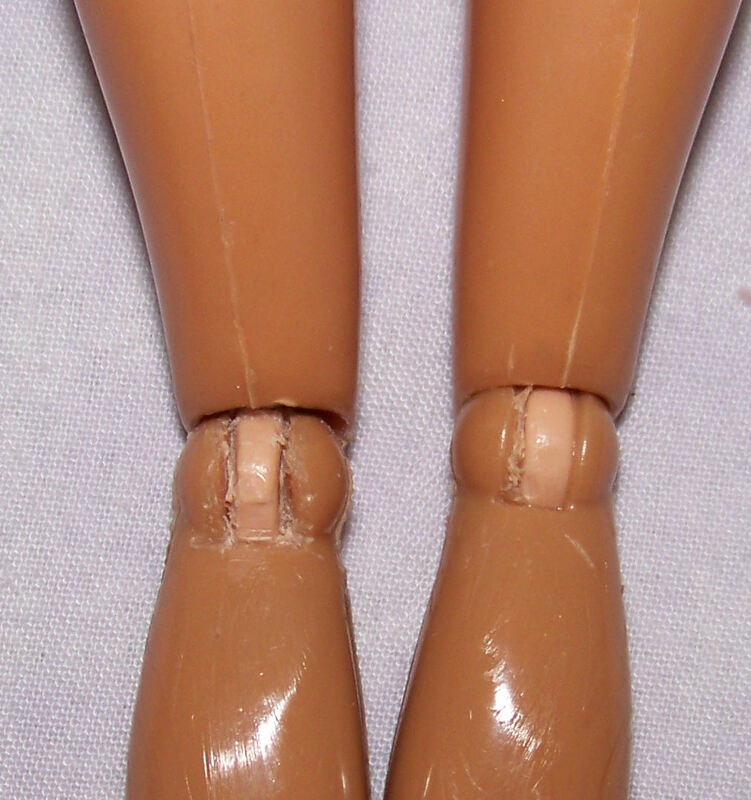 Amazon is a godsend for other supplies but they don’t do any quality control on toys. 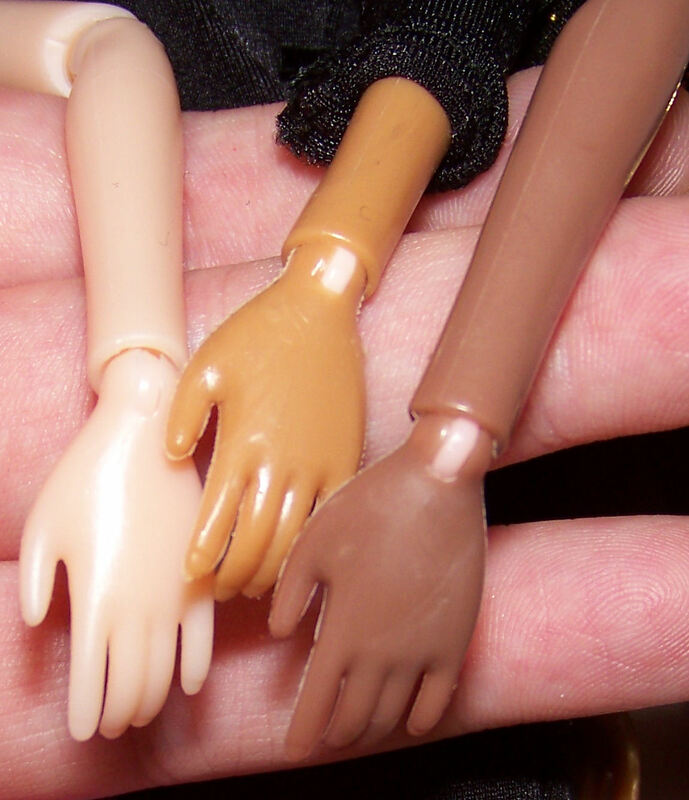 I get bodies for my caucasian and asian dolls on ebay france but brown and black skinned dolls are hard to find for under 10€ ($15) each – even for dolls you’d assume were quite common toy purchases such as Disney Princess Tiana or fashionistas Nikki. 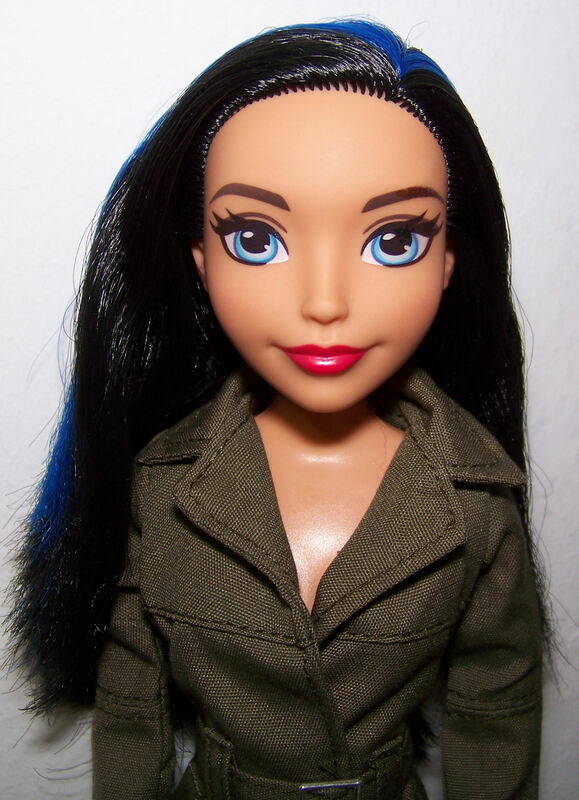 I used to go to ebay uk for doll shopping but the global shipping program made that way too expensive. So when these fakies showed up, I jumped on the occasion! 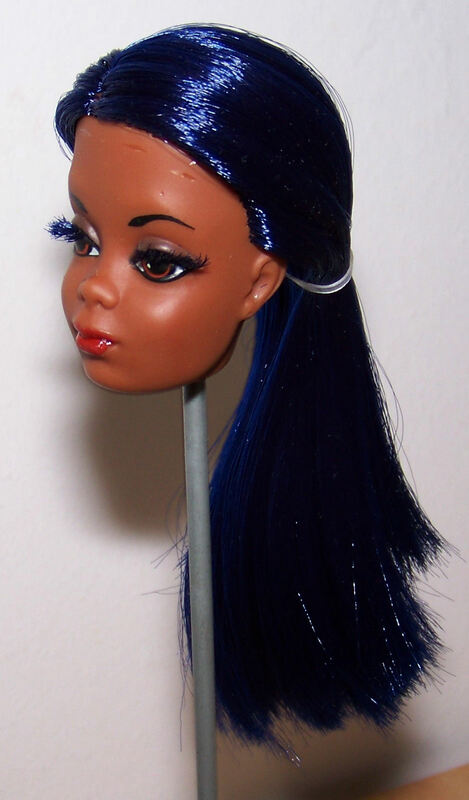 You can find them under “black barbie doll body” on ebay or aliexpress for 2.50 to 4$ each. 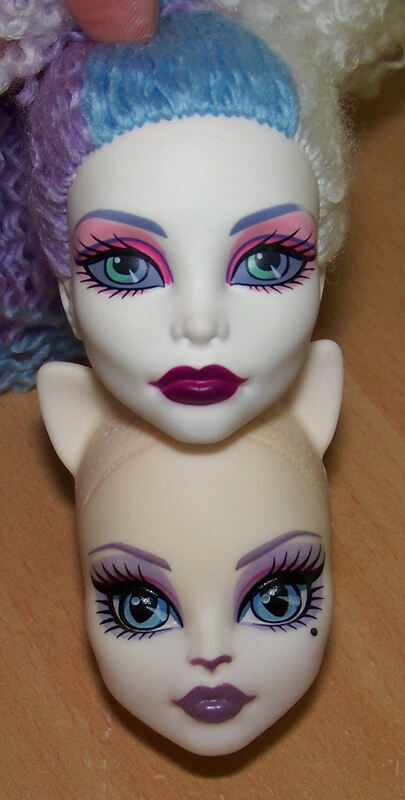 The lighter toned one often comes with a cloned “Summer” head mold and the dark toned one comes with the “crescent” faced heads with yellow eyes. 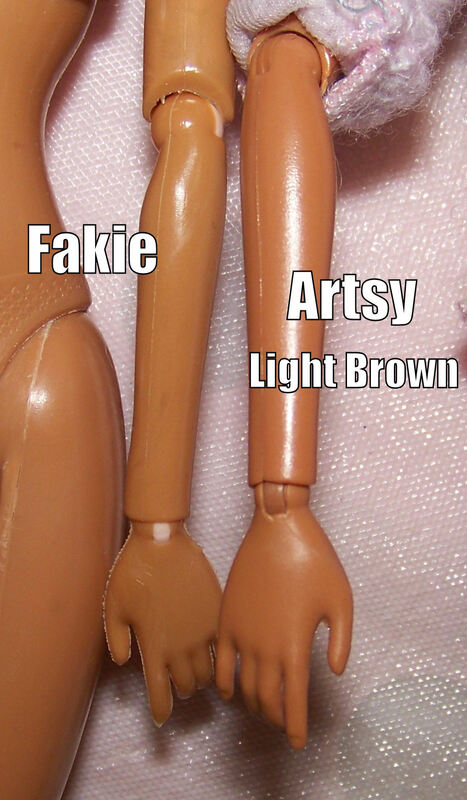 Articulation is the same as on the 11/12 joint pale fakie bodies (around $2 each) with the same staining, plastic marbling and flash (excess plastic) issues. Remember to carefully test the rotation of each joint upon arrival and gently slice off excess plastic with a knife if they’re stuck or they *will* snap off. 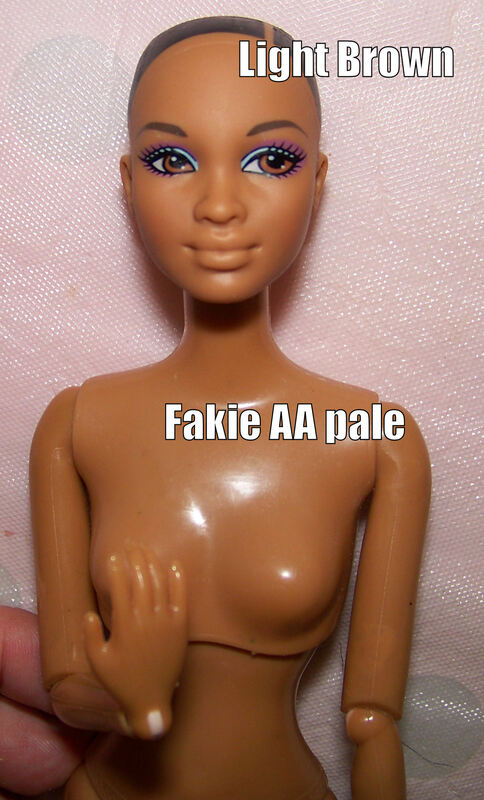 The brown aa fakie body is an olivine match for barbie light brown but too pale for afra. 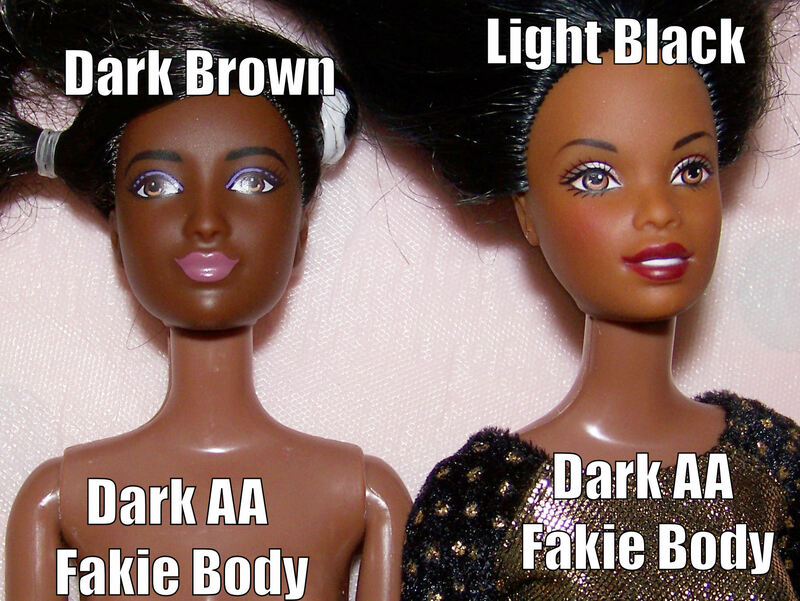 The black aa fakie body is a greyish match for barbie light black but too dark for afra and too pale for dark brown. 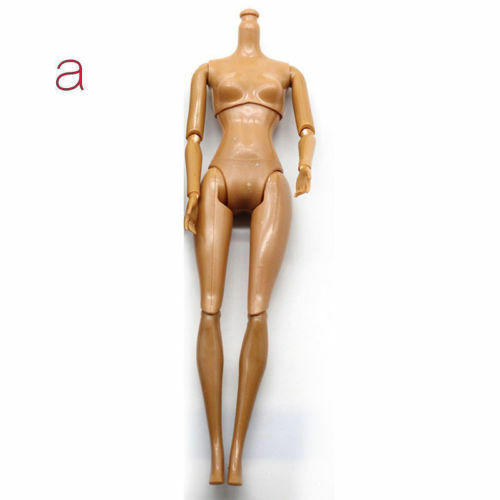 This entry was posted in Tutorials and tagged barbie, clone, doll articulation, fake, fakie, headswap, hybrid, review, skintones on December 6, 2018 by saffy. I havn’t spent any money from mid september onwards because I’ve got to sell custom work that’s accumulating instead, I’ve been too tired to list anything let alone deal with the gamble that is ebay so I’m at about $3 in hobby money but $150 worth of stuff if I could be bothered to list it LMAO. 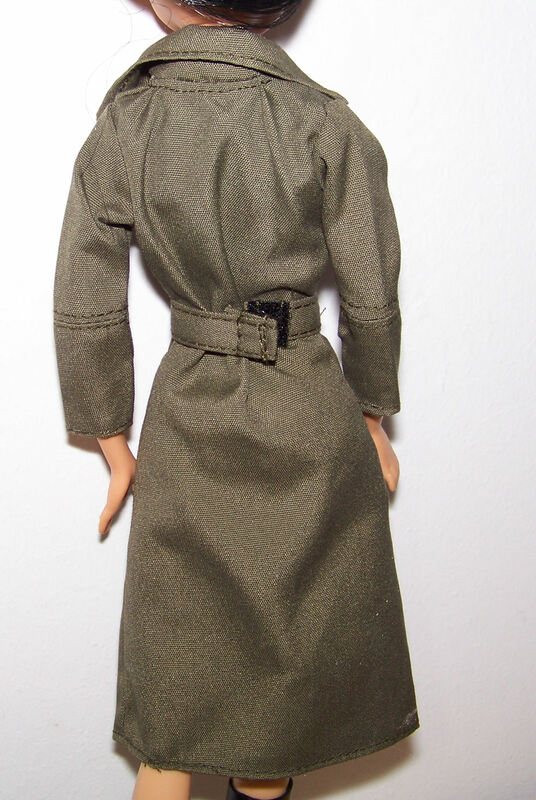 Aaanyways, I couldn’t resist this pretty trench coat (comes in pale blue and in red – I’d colourfast the red before putting it on a doll if you choose that one) as I DO love non-fantasy, classic clothing basics for dolls. 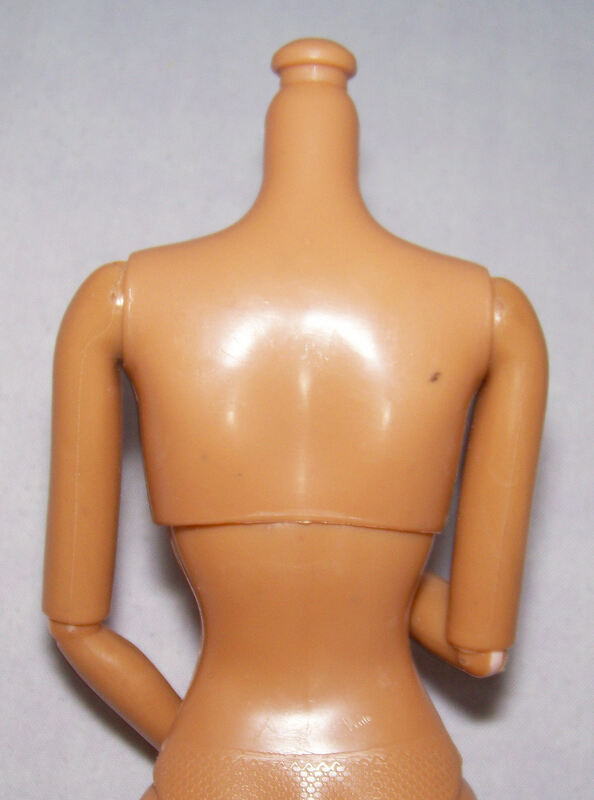 Give me a solid t-shirt instead of a mini dress any day, Mattel! It’s displayed on model muse who have smaller waists so I had my concerns but it fits belly button body fine. It won’t fit over clothes other than leggings and the sleeves are a teensy bit short for my liking but the finitions are nice, the hat does fray easily though as there are unhemmed sections. 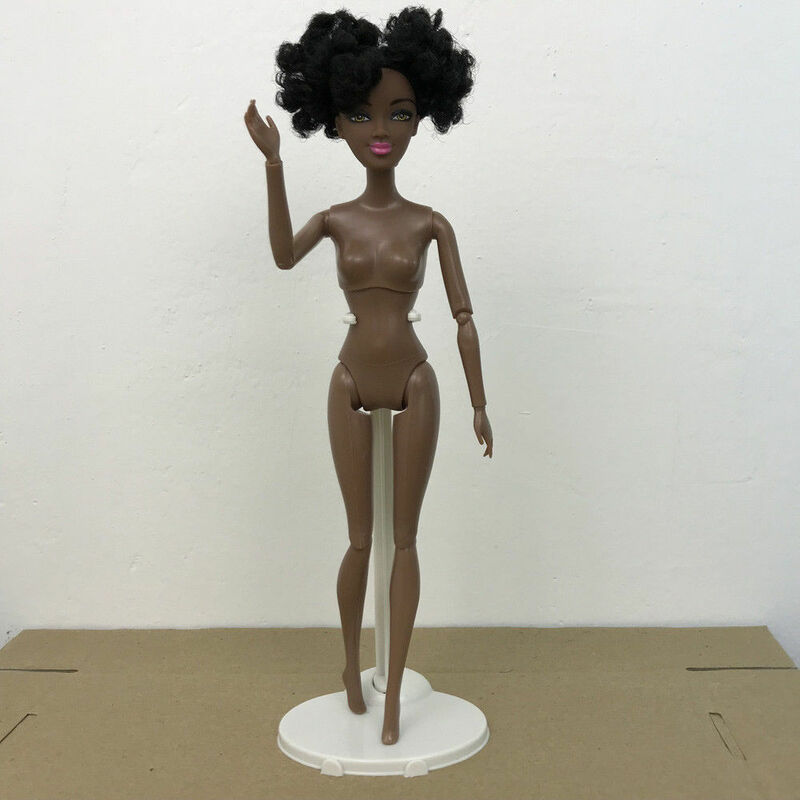 This entry was posted in Tutorials and tagged barbie, clothes, hybrid, review on December 6, 2018 by saffy.